It’s hard to believe that it’s been a whole month since I shared Nellie’s story with you. She’s already settled in so well as part of the family. Although I have to be honest, I did anticipate some difficult times, especially since we didn’t know what her behaviour would be like as a former stray puppy with no rules. I expected lots of accidents, lots of chewed up furniture and some chaotic behaviour thrown into the mix. Thankfully she’s been really good (apart from that one leg on my dining chair that we won’t talk about!) 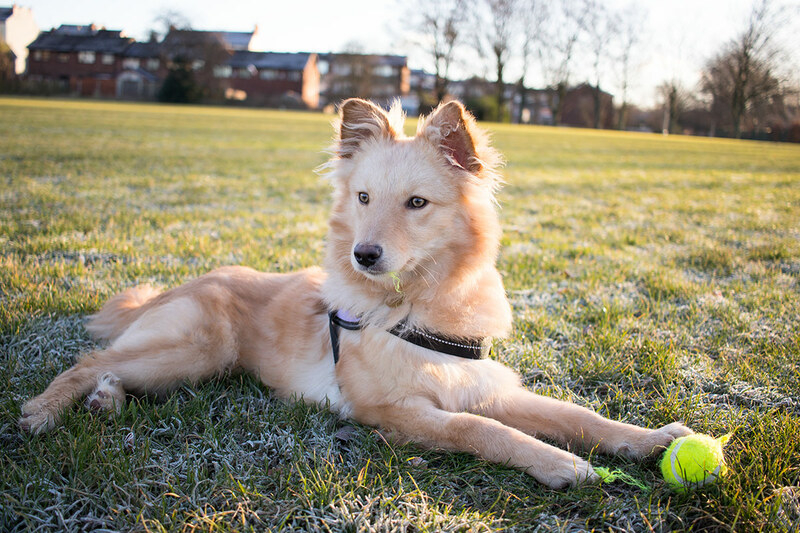 Nellie is full of character and has the most playful and cheeky personality. She’s shown zero aggression or nervousness and is great with friends, family, strangers, children and other dogs. Although, she is at that age where she will test our patience, do her own thing and try to rebel in whatever little ways she can can. At 6 months old, puppies are essentially going through their teenage phase: testing the boundaries and being extra cheeky. 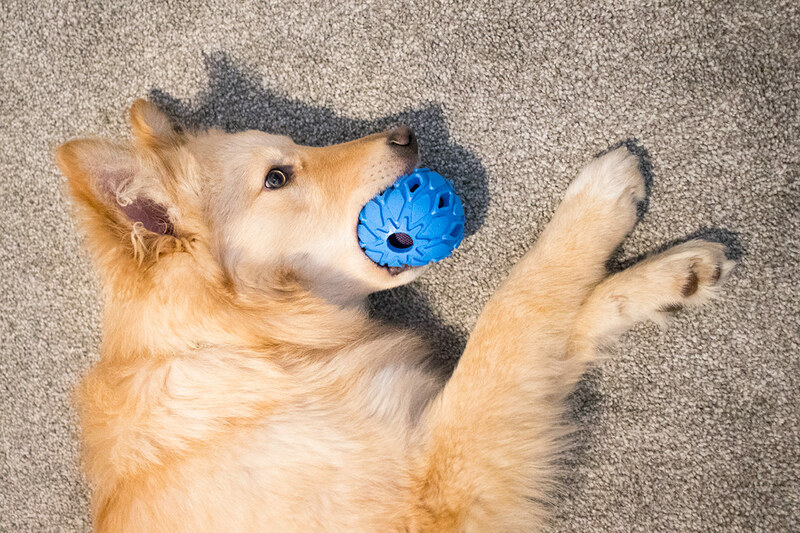 It can be a really difficult age, especially if you haven’t done the groundwork and set routines for your pup. Nellie loves to chew. She’s a typical puppy in that sense. Sadly, this has meant some things have been destroyed in the process when she’s been bored or feeling extra mischievious. Left those nice sheepskin slippers out? Oops, bye. That stray sock that fell out of the clean washing pile? Sorry, that’s Nellie’s now. It’s really important to keep her mind and her mouth occupied so she doesn’t chew through half of our belongings. But it’s even more important to keep her mouth healthy so she can keep chewing all of the right things. 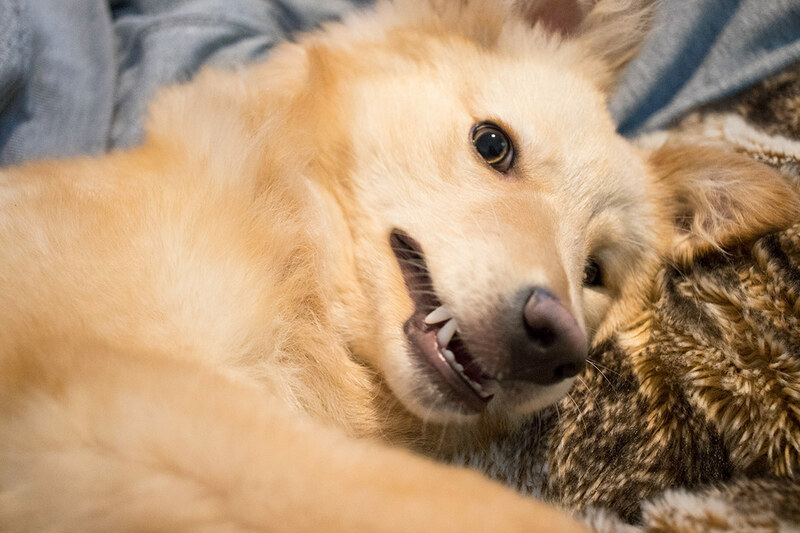 Gum disease has no obvious signs and symptoms and is actually five times more common in dogs than humans, which means a good dental care routine is key. 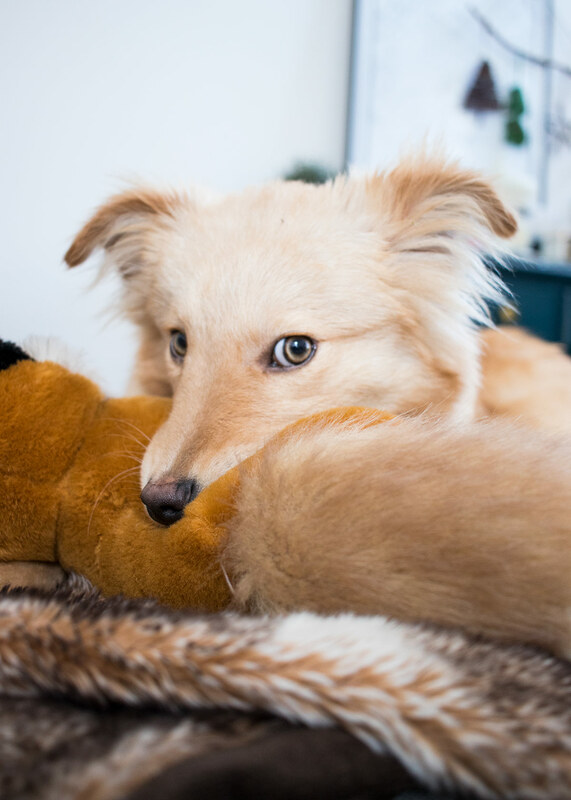 If you have a puppy, it’s best to get them used to toothbrushing from a young age so they see it as part of their normal routine. It’s been a little trickier with Nellie, but we’ve been gradually introducing her to the toothbrush and toothpaste (a special dog one, not human toothpaste!) in short sessions to ease her in. She’s still at the stage of wanting to chew the toothbrush, so I’d definitely recommend trying this after a walk, when they’re quite tired and a little calmer. Treats are a dog owner’s best friend! We have so much to teach Nellie and since she’s so food-motivated, it’s the best way to get her to pay attention. 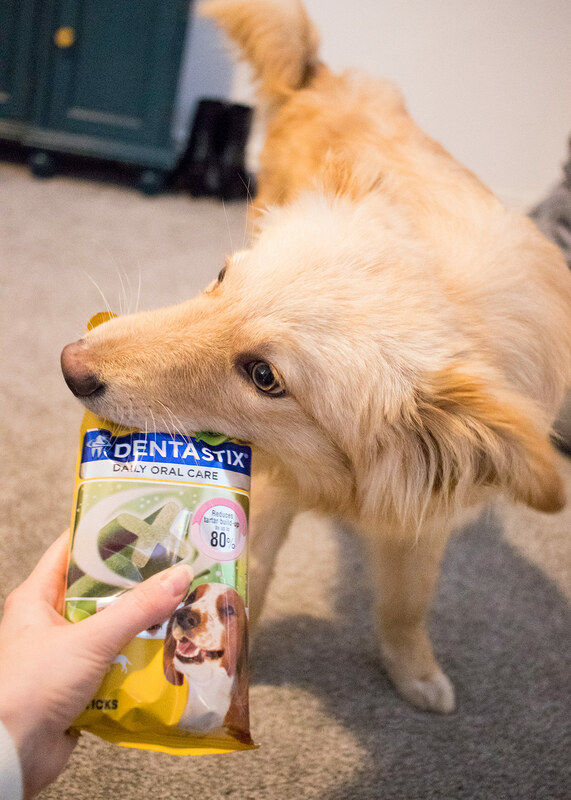 Chews are her absolute favourite treat, so we give her a DentaStix a couple of times per week as a treat to keep her breath fresh and help stop the build up of plaque and tartar. 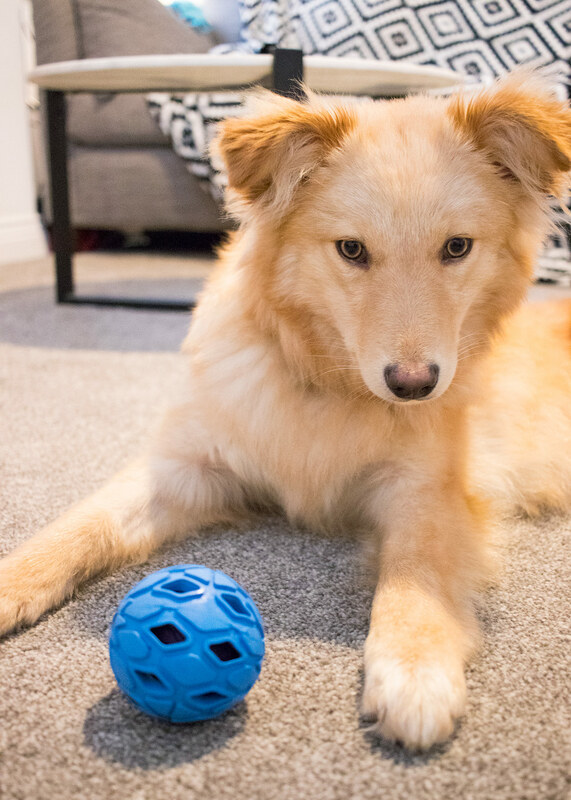 Nellie is a massive toy hoarder, she loves getting them all in one spot and spoiling herself with the choice. We have a few different types of toys, one of them being a rubber ring with ridges all over it. This is great for her to chew and also helps dislodge any plaque too. 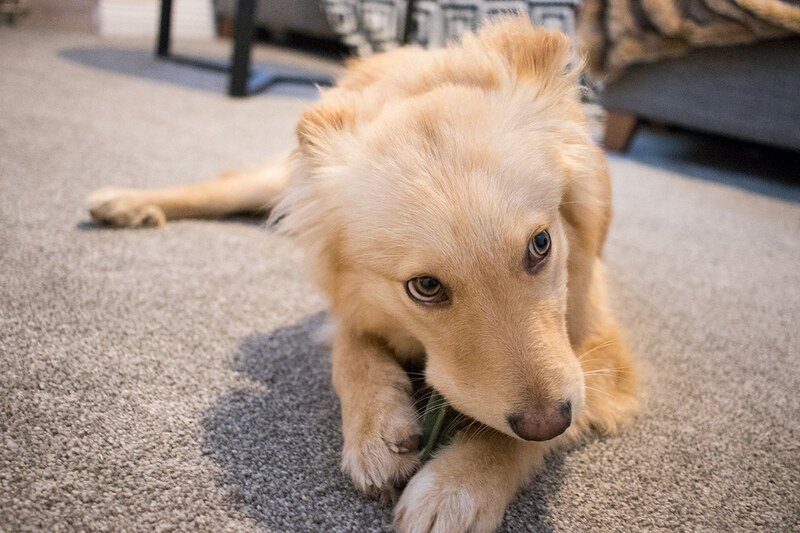 As you can see, Nellie thinks point number 2 is the most important tip, but if you’d like some more tips and a handy step-by-step guide to brushing your dog’s teeth, Pedigree have shared some great dog dental care tips on their website. I’m pretty sure her teeth are whiter than mine (thanks coffee and red wine…) so I definitely want to keep them as healthy as possible. Wish me luck with brushing her teeth again! Disclosure: This post is a paid collaboration with Pedigree, but all thoughts and opinions are my very own. For additional dental care information, you can read the following Pedigree Reviews article for tips and advice. 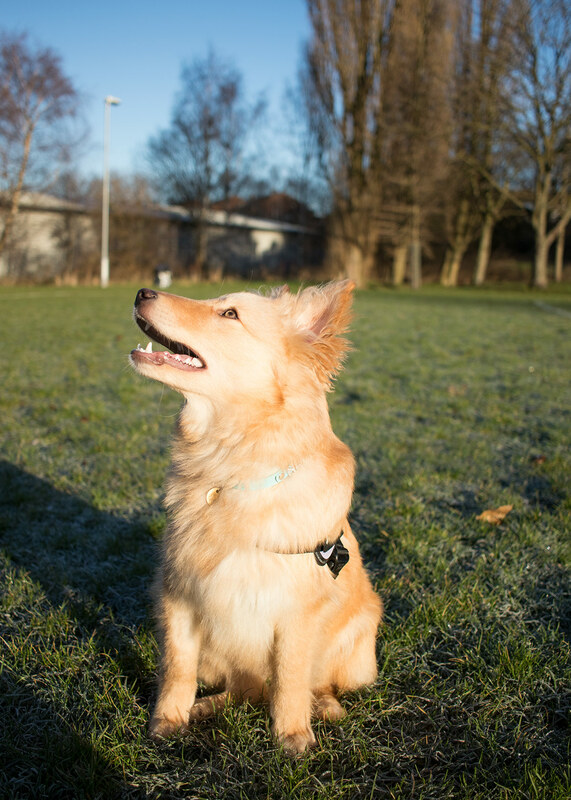 The fee from this post will be going towards Nellie’s life-changing hip operation, which you can read more about here.